All our TREATS are vegan and gluten free. Our soups and salads are vegan friendly and made daily with fresh ingredients. see weekly menu below for daily specials. zucchini noodles served with roasted veggies, vegan dressing and other toppings. may contain nuts. 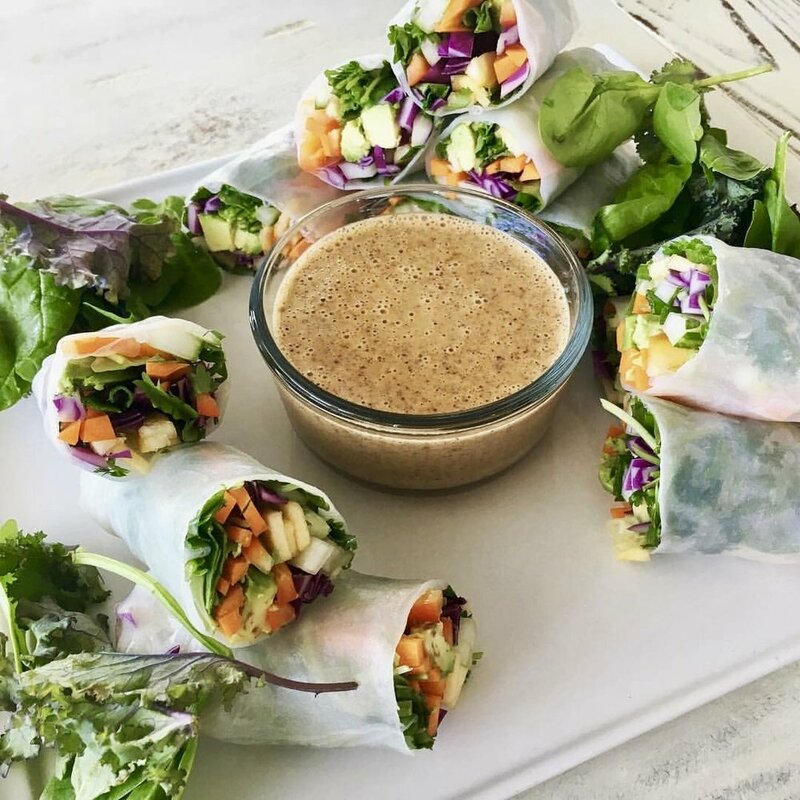 fresh spring rolls with raw vegetables. served with a vegan almond dipping sauce.